Today's trendoid douche bags regard the 80's and 90's as the epitome of COOL. Back then teens took their inspiration from the 60's and 70's. against any oppressive state of affairs. (at least insofar as hindsight reveals them). Still we are unsure of how what's coming will differ. Hegemony leading us into the limbo of Homogeny! being an inborn trait of Dasein's fragmentation. old timers reminisce over some bygone golden era. Monomaniacs critique but constantly rehash devilish details. Everybody dwells on what formative memories have dictated. Who would even notice the handbasket reaching hell? Tomorrow's misanthropes already read this as a perennial quintessence! 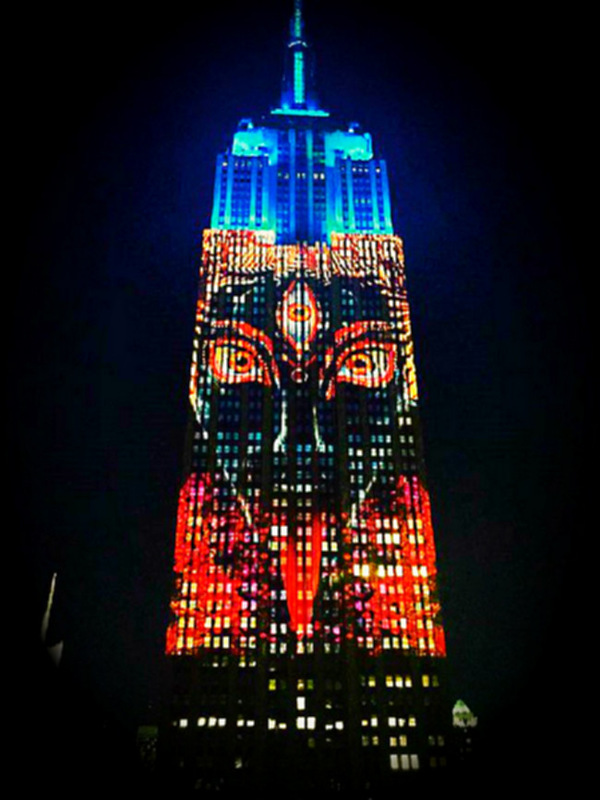 Image: Kali (goddess of death and destruction) projected onto the Empire State Building by digital artist Android Jones. Many Hindus view the present as Kali Yuga; the iron age of decay.